An electric car? Sure, we are interested. But tell us. Will it be easy or painful to charge it to keep it going?. BMW will soon start producing wireless charging pads and they appear to be set to turn the corner in charging convenience. Wireless charging from BMW comes in the form of a system that features a mat. Reports say BMW will start producing them in July. Inside the car is a display on the infotainment screen. Blue lines in the center serve as your display guide to make sure you position your BMW above the pad. As soon as a green circle appears you know you are directly over the charging plate. Consider: you don't need a charging cable. Energy transfer can take place without the cables. it's set to work with many of the firm's plug-in hybrid models (PHEVs). The system consists of a base pad with integrated primary coil. A secondary coil is integrated in the underside of the vehicle. The coil is actually inside the pad placed into the base of the car between the front wheels, said Brinkwire. 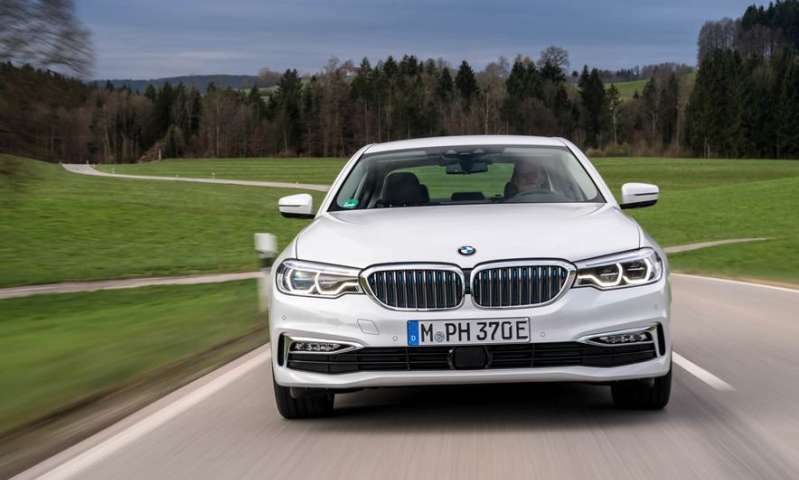 "An alternating magnetic field is generated between the two coils, through which electricity is transmitted without cables or contacts at a charge rate of up to 3.2 kW," said BMW's video notes. When you switch off the ignition, charging starts automatically. The system can be installed in garages or outdoors. "Great. But will it fry my cat?" asked Car.Magazine. Gareth Evans noted that "animals in general are well-known to make use of a parked car's residual heat." Brinkwire said "it will automatically power down when it detects an interfering object such as small animals." Car Magazine said, "The system simply uses a proximity sensor to cut the charging." Reports said the level of electromagnetic radiation was less than from a standard kitchen hot plate. What time requirements are at play here? Reports said charging time is around three hours and 30 minutes. An empty battery is fully reloaded within 3.5 hours, said reports, for charging the 530e battery. When can we expect to see these wireless charging pads? They will be available—to lease, said Car Magazine. Jon Fingas, Engadget: "It's not certain how much the pad will cost, but one thing's for sure: you can't just walk into the dealership and buy one." BMW said "Wireless charging for the high-voltage battery will be made available as an option for the BMW 530e iPerformance from 2018." BMW plans to have this product available in Europe this year and California's 530e drivers will try it in a pilot program. Fingas said, "In Europe, where many 530e drivers lease, the charging pad will be limited to a leasing option for the PHEV. And in the US, it'll only be available in California as part of a pilot program." Why the leasing stipulation? Evans had an answer for that as "a simple matter of economics – the overwhelming majority of plug-in 5-ers in Western Europe are 'owned' this way, so it stands to reason that the best way of introducing this relatively expensive range anxiety-busting tech is to use the same financing model for this." Rob Stumpf, The Drive, said that the wireless induction charging method was "a very convenient way for customers to charge their cars. The owner simply needs to plug that mat into a 220-volt outlet once and go about their day." The tech is practical for PHEVs but "it hints at a future where you don't have to think about plugging in when you're at home," said Jon Fingas in Engadget.